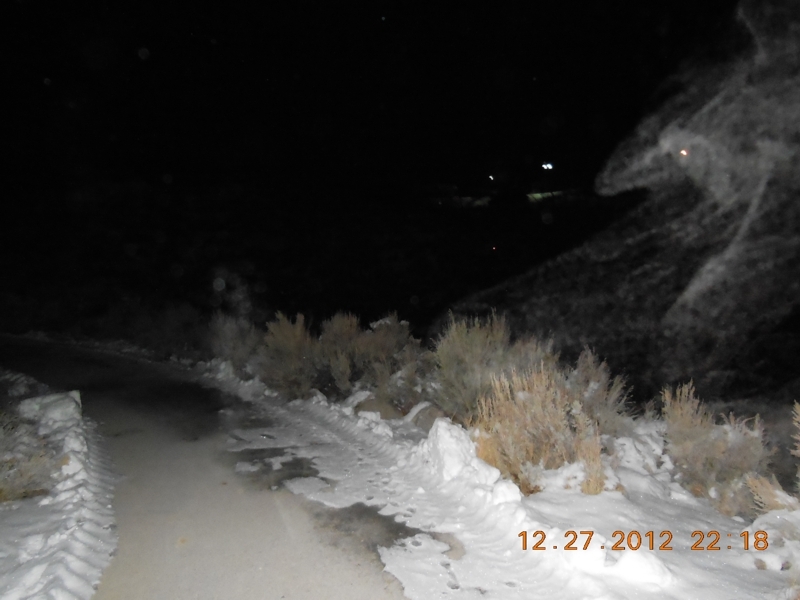 This column relates to a piece I wrote last year in July on some odd ghostly things going on in Robb Canyon in west Reno. Things like this interest us because so many people have encountered activity like this before, especially in certain areas of the Truckee Meadows. What is about to be detailed below by a reader who found my column interesting, fits the descriptions of those who have also viewed the same and many more events throughout the last four decades in Robb Canyon. In Reno and Northern Nevada, you only have to go a few steps to find a lot of history and many interesting things have transpired to create a lot of excitement in certain quarters when it comes to things we’ve heard of or seen before. At any rate, below is the actual journal of Don S. who with the help of his girlfriend Rhiannon and other friends put together a study group designed to find out whether there were really paranormal activities going on in certain areas of Reno and Northern Nevada. What they found with a lot of scientific tools and patience ended up being quite an adventure for them and what investigations they have concluded will leave you with goose-bumps or at the least, leave more for you to wonder about. They also included a few pictures you may find unsettling or at least a bit surprising. Tales of the bodies of three men and a woman being discovered in Robb Canyon in west Reno in the early 1970’s led to reports years later of ghosts trying to coax people to feel their pain and discover their murderers. The murders were to some accounts never made public or at never solved. 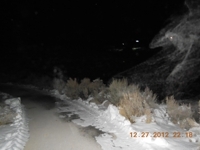 The entire canyon site and the nearby city park named Rainbow Ridge Park have become somewhat famous for haunting reports, sightings, disturbing noises including blood curdling screams and strange lights. Paranormal activity in the area has been investigated by experts and scientists for many years up and down Robb Canyon and the surrounding hills and all have come away with personal accounts of frightening events including many narratives of overwhelming dread upon entering the canyon at night. Reports still come from residents in the area and a few reality television shows have spent time in the area, all coming away with chronicles of actual sightings including some of the so called Shadow People. We made subsequent trips, about every two weeks due to conflicting schedules, to gather more evidence and hopefully capture something! We were a bit zealous and full of ambition (and hot cocoa… it was COLD in that canyon.) Our follow up excursions continued to provided tidbits of tantalizing information. 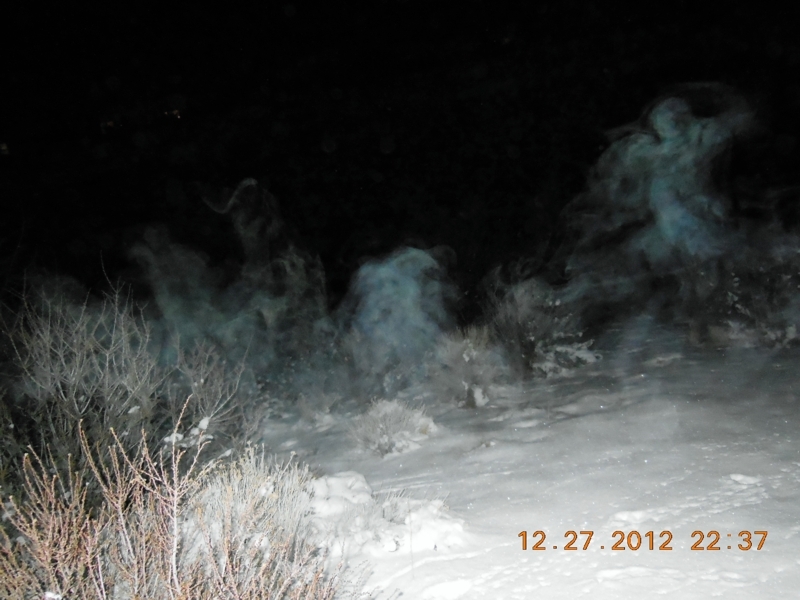 We had an Electronic Voice Phenomenon (EVP) here and there, a picture of a shadow / mist / something occasionally… just enough to keep us intrigued and coming back for more…but it wasn’t until late December that we had our ‘big break’ We returned to our specific spot along the path that seemed to produce the most interesting results. It was at this place that we captured (the specific paranormal terminology) our first real picture. 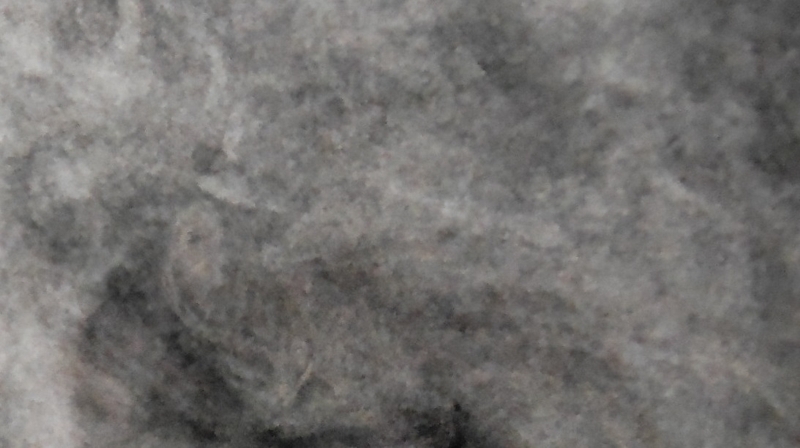 This picture appeared to have FOUR spirits in a blue-ish mist. (Has there ever been a picture with four spirits captured in it? EVER?) Upon close examination, it appeared to be three male spirits and one female. During our research and according to the Robb Canyon legend, there were (mutilated) remains of three male and one female found in this area back in the 70’s. The photos below were taken by Don S. and have not been retouched or altered in any way. 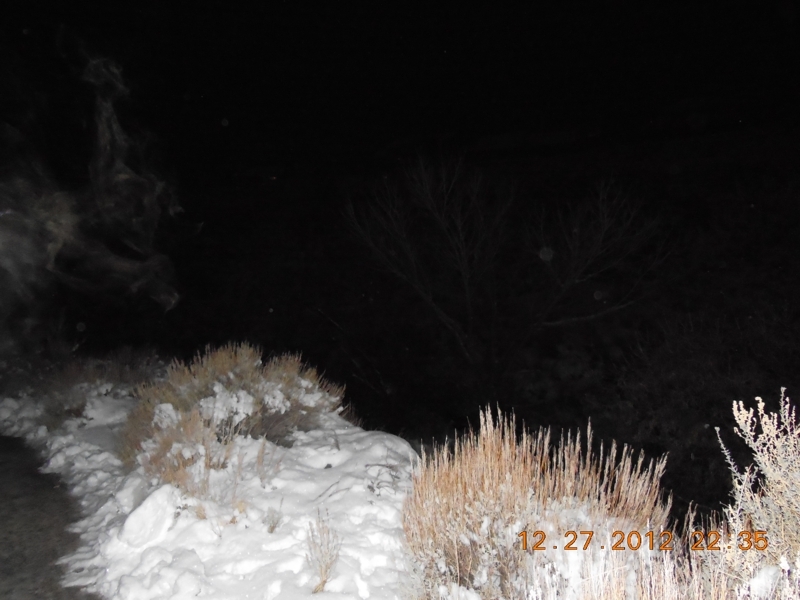 The first picture appears to be a person sitting with legs stretched out in front, leaning on his right arm against something like a wheel well... or fender shaped object The second picture shows two figures along the right side in the mist. There are two torsos with skeletal faces. You may also notice other figures in the picture but I was amazed when I saw those two particular faces / torsos. The third is what I call "little creepy guy" There is a body, a face of sorts, and a clear claw / hand that is reaching out... The fourth shows something on the right, but if you look closely you can see a 'person' kneeling in the pathway. I can see a hand with fingers, an arm, torso, and face. It seems to be looking at whatever is on the right side.